But don’t worry! We’re here to help. Let’s demystify this industry. In this article, we’re going to look at the main factors affecting the price of various hot water heater systems. We’ll examine different models and categories of hot water heaters and explain their pluses and minuses. We’ll explain the basic costs of purchasing and installing a unit, but also cover some factors you may not have considered, such as site access and government rebates. There are six main factors that determine the price of a new hot water system installation or upgrade. The type of hot water system and its size is the main factor in price. There are four main types of hot water systems, along with a variety of sub-types in each category. Here’s a summary. This table only includes the equipment itself. Other factors add additional costs. These systems come in two main types: storage, and instant. Electric storage systems use heating elements to heat a tank of water that varies in size from about 25L on the low end to more than 400L. Small sizes start at around $450, and large models—which often use two heating elements for faster warming—rise to about $1800. Instant water heaters have no tank. Instead, they function by drawing high amounts of power to heat water on-demand. These models are increasing in popularity, as they provide essentially limitless hot water and can save energy in some cases. This is especially true if you use a relatively small amount of hot water. These systems cost in the range of $660 to $1300. 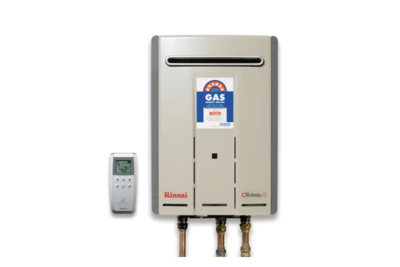 Like electric systems, gas hot water heaters come in instant and storage varieties. However, these different approaches have a bit more pricing parity. Gas instant systems typically range from about $750 to $1600, depending on the number of simultaneous taps or water outlets the device must serve. 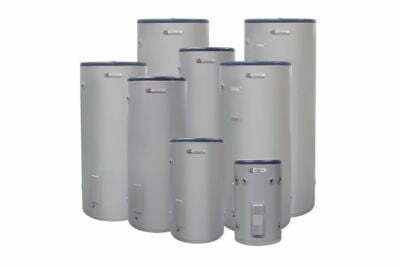 Gas heaters with storage tanks start at about $850 for a 135L system and range to $1500 for high-end 360L systems. Increasingly, people are moving to solar-powered hot water, especially in the sunny parts of the country. These systems are more expensive to install, but save energy and money over the life of the system. Most solar systems need an “assist” for days that are particularly overcast or cold. Solar systems come in a few main varieties. Roof-mounted models are becoming more popular. Base prices for electric-boosted roof-mounted models range from about $3600 to $4400 or more. Electric-boosted systems with a tank on the ground (these are called a “split system”) are preferable when roofs can’t support the weight of a tank. These systems range from roughly $3900 to $5000 or more. Finally, a gas boosted split system starts at around $4900 and ranges up to $6500. Like a solar system, a heat pump water heater is highly efficient. However, the approach is different. Instead of using solar energy, heat pump water heaters use air-conditioning technology to extract heat from the ambient air and use it to heat water. These systems save money, but often require a warm or temperate climate and must be installed outdoors. They can also be noisy. 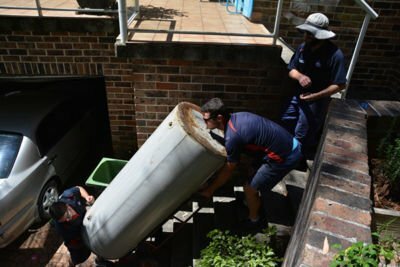 Prices for a heat pump water system start at around $3300 for a 160L system, and range to roughly $4000 for a 315L heat pump. 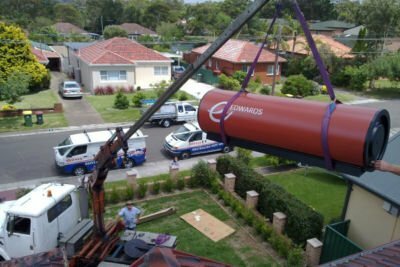 The second factor that will affect the cost of your hot water system is delivery. This cost depends on size and distance. Some hot water systems weigh only 15 kg and can be easily carried by one person. Others are more than 150 kg and require two or more experienced and strong installers. The third factor in the cost of your hot water system is installation. Installation costs can vary widely depending on the complexity of the job. If you’re replacing an existing hot water system with the same type in the same position, installation costs are relatively low, in the range of $220 to $660. If additional valves are required, or if plumbing or electrical systems require upgrades, costs will be higher. A new law implemented in 2012 means that tempering valves must be fitted on every hot water system. These anti-scald devices regulate water temperature to 50 degrees. In most cases, the manufacturer warranty is void if these valves are not fitted. They cost an additional $190 to $250. If you need to reposition your hot water system to a different site on the property, installation costs could be another $1000 to $2000 depending on the plumbing and electrical work required. Changing energy type, for example, switching from electric to gas, will require additional work and cost in the realm of $1500 to $3000. If you are upgrading the size of your system, additional plumbing and electrical work may be required. The fourth factor in the price of a hot water system is ease of access. High roofs, steep and narrow stairs, and other obstacles can require extra labor and equipment. Cranes may even be needed to lift a system into place in some cases. Wall-mounting can also require extra work. All this adds to installation costs. 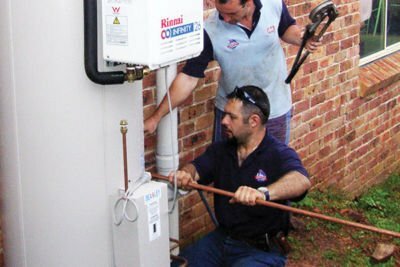 The Australian government provides incentives to purchase efficient hot water systems via a number of rebates and incentives. 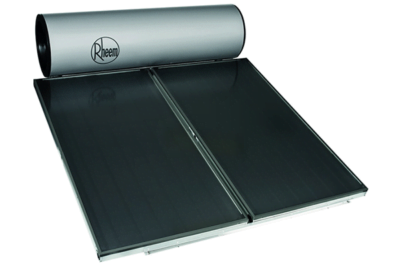 Solar hot water systems in particular can benefit from government rebates that reduce your costs by $600 to $1200 depending on your selected system. The final element in determining the cost of your hot water system is disposal. Environmentally responsible disposal of your existing hot water system usually adds about $60 to the cost of a new hot water installation. 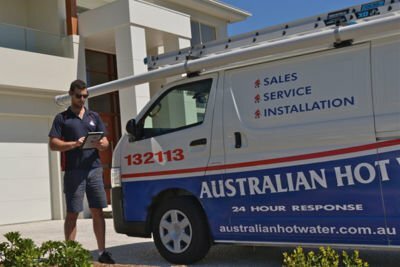 Australian Hot Water provide a full service including supply, installation, service, repair and disposal. Contact us today for independent and expert advice on the right hot water system for you.